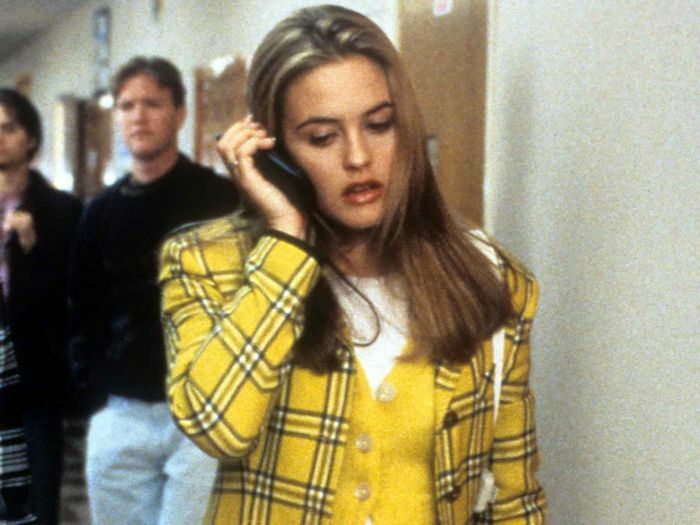 It's been 23 years since we first saw Cher Horowitz style an outfit on a computer screen and then have it delivered practically to her feet before the start of the school day. "A way normal life for a teenage girl," the ingenue told us in 1995. In a pre–Amazon Prime and Net-a-Porter same-day delivery world, her closet seemed nothing short of magical. In all the time since we first watched Clueless, and despite millions of technological advancements (also see: Horowitz's cell phone), the opening scene of the cult classic hasn't really lost its ability to impress. But could it use a few updates? Oh, you bet. With this goal in mind, we called in experts to give Horowitz's room an update from Modsy, a virtual interior designing site that was up for the challenge. First step: That dinosaur of a computer had to go. "Cher was clearly ahead of her time because we're still dreaming about having Cher's computer program to pick out outfits and visualize how they look," says Alessandra Wood, Modsy director of style and interior design expert, who reimagined the '90s bedroom for a present-day Horowitz. "I definitely think she'd still have that technology, but with a simple and sleek iPad built into the wall or some sort of high-tech, voice-controlled VR version instead of the clunky monitor." From an interior design perspective, Wood says that Horowitz would make a few different choices now as well. "We thought she might replace her zebra chairs with something a bit more modern though still slightly classic like the Celine Bench from West Elm in Wasabi. The brass details and rich velvet upholstery give this chair a touch of glam vibes, making it perfect for Cher." Furthermore, Wood says the teen would likely choose the Amelie Mirror ($359) from Arhaus and the Petaluma Vanity Set (sold out) from Anthropologie, to create an ideal getting-ready space. "The Nuvolette Fornasetti II Wallpaper (starting at $553) adds a whimsical touch, nothing short of Cher's daydream-driven personality." From there, Modsy peppered in tons of personal touches too. "Cher would have wanted to pay homage to her iconic '90s style and had her yellow checker school-girl outfits on display like a piece of art," Woods says, also adding "Can you spot her Mary Janes? That's a timeless look we know that Cher would never stop wearing as a part of her fashion rotation." A few other special additions include photos of Cher (of Sonny and Cher, her namesake) and Josh. In all, Modsy's version of Horowitz's room doesn't stray far from the original (a classic teen reference, if you ask us), but it thoughtfully brings it into the 21st Century. Take a closer look for all the special touches that feel right at home, and then keep scrolling to shop a few pieces we're sure you'd find behind those closet doors today as well. Available in size EU 36. Available in sizes 14/16 to 22/24. In case you "couldn't help but wonder," take a look at Modsy's interpretation of what a present-day Carrie Bradshaw apartment would look like too.